High Density Polyethylene Pipe (HDPE) is a robust solution consisting of thermoplastic pipe made from material capable of being melted and reformed. For more than five decades now, HDPE pipe has become the go-to solution for piping systems for a myriad of reasons. Let’s start with corrosion resistance. 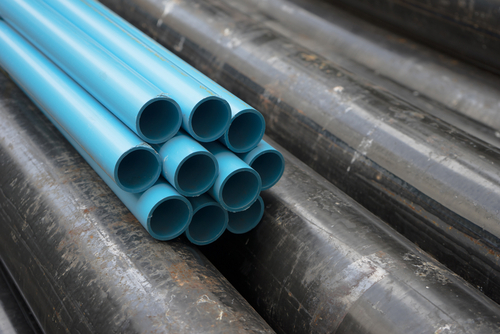 With metal piping systems, corrosion continues to be a huge and costly problem. This corrosion can happen inside as well as outside of the pipe, potentially affecting the efficiency in hydraulics. There is no such thing as rust or rotting with HDPE pipe and it is even capable of resisting biological growth. You can expect a longer service life of about fifty to 100 years and significant savings on a long term basis with HDPE pipe. One thing you’ll notice about HDPE pipe is its flexibility, which allows it incredible resistance to fatigue. As opposed to other plastic pipes, it can effortlessly handle recurring surge events that often become an issue with water distribution systems. With HDPE pipe, fusion joints solve a myriad of problems. Using a heat fusion weld, a pair of HDPE surfaces can be brought together to create a durable system free of leaks. In fact, the natural gas industry has successfully utilized HDPE pipe for decades. Training personnel in HDPE pipe fusion is also a simple process.